Milk is opaque drink. It has 85% water and remaining part is minerals and fat. It is full of calcium, phosphorus and other nutrients. Milk is complete food. It gives plenty of energy and health benefits. Milk is beneficial to avoid many diseases. In astrology, milk relates with Moon. Milk is pious as a religion and mind. Cow milk is very auspicious and good. Milk has special important in Shiva’s Rudrabhishek. It fulfills all wishes. Moon can be strengthened by donating milk on Monday. Mental stress can be removed by mixing milk in bathing water. Boil and cool the milk before drinking it. It is beneficial to drink milk in glass or steel utensils. Drinking milk in silver glass is beneficial for health. It is extremely beneficial to use honey and mishri with milk. Drink cold milk when you don’t have obesity problem. Mix saunf in milk and boil it, if you are suffering with flatulence. Do not drink milk without boiling it. Do not drink or pour milk in copper utensils. It is dangerous to have milk and fish. 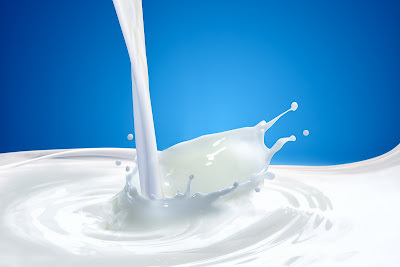 Do not use milk if you are suffering with stomach or skin problems. Do not waste milk if you are pouring it. Pour milk with utensils so that no one can use it. Donate milk on Monday to reduce Moon related problem. Eat less food in night to get more benefit from Moon. Drink milk at night. Eat yogurt in afternoon to get benefit from Venus. Drink cow milk if you’re suffering with diabetes. Drink milk in clay pots. Good Luck: Avoid drinking milk in Savan month.